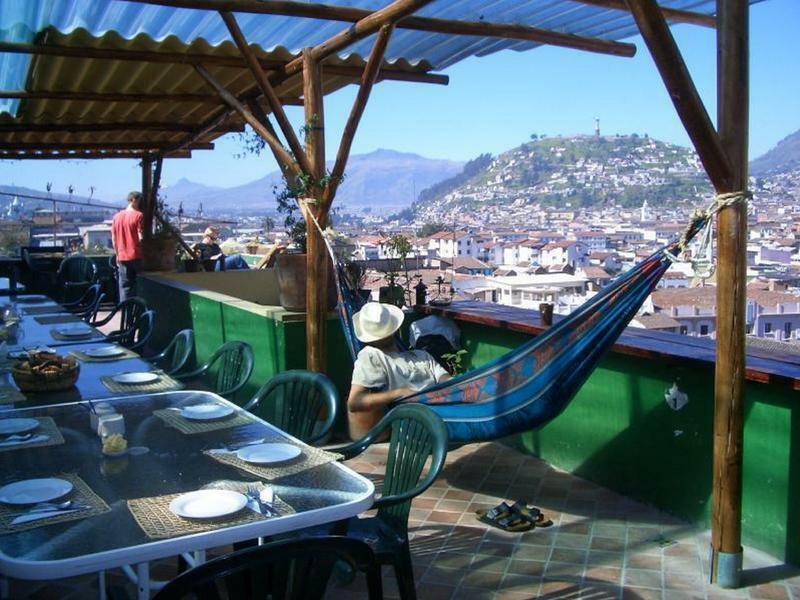 The Secret Garden is a friendly Australian/Ecuadorian/French family run hostel conveniently located in a quiet, authentic cobble-stone street in central Quito. Our 'barrio', or neighbourhood, is one of the few remaining Colonial districts and even our building is protected by a United Nations World Heritage listing. With a big improvement in security in the Old Town in recent years, plus 24 hour police patrols, our neighbourhood now enjoys a level of safety and security equal to (or often better than!!) most international capital cities. Our beautifully restored colonial building features a rooftop terrace/restaurant/bar with breathtaking views of the historical Old Town. Feel free to browse our hostal book exchange, chat with our friendly Ecuadorian and foreign staff, check your email (free use of computer and free Wifi), or just relax listening to any of our wide selection of music. We have agreed a list of prices with selected taxis to the main destinations in Quito and around, this is safe and fair price guaranteed! Get more from your time in South America with a better knowledge of the local language. Our low overhead costs mean better teachers at cheaper prices. Email ahead for more information. A second secret garden!! That's right - The Secret Garden Cotopaxi, high up in the remote Ecuadorian Andes, an ideal place to relax and use as a base to acclimatize and climb the Cotopaxi or one of the other surrounding volcanoes. 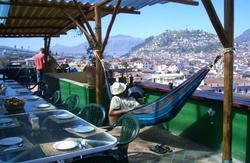 IT HAS BEEN VOTED THE BEST HOSTEL IN ECUADOR IN 2011. Join us on Facebook (The Secret Garden Quito Ecuador) for more information and pictures. We offer an airport transfer service $28 for the taxi, 1 to 4 people- just email us your flight details (date, time, airline and flight number) .